Color golden yellow with greenish hue. The smell is strong,varietal, fruity and meadow flowers. 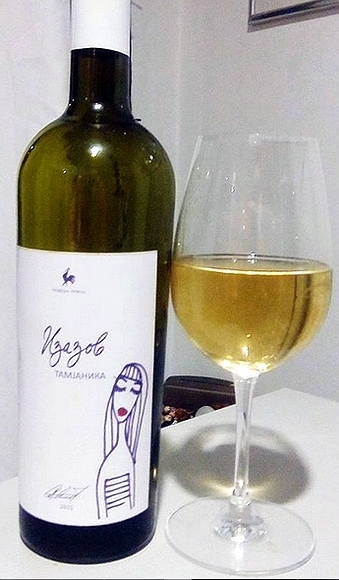 In the mouth strong and very aromatic, white peach, quince and white mulberry. Noticed fruity acids but good balanced. Medium length finish , strong and aromatic. What else? The second vintage of this wine that we tried. 2016 was gentle and soft,but also had caracteristic taste of quince and white mulberry what we liked . “Podrum Pevac” winery is primarily a distillery known for its brandies, but judges of this wine they can say something about wine production too. The classic story presented in a modern way. And very tasty and aromatic.